This is a fantastic book, something along the lines of the book and film by Mike Lassiter and Scott Galloway, "Our Vanishing Americana", both of which I reviewed here a few months back. If I thought my state was strange, well, you know the saying, "The Grass Is Always Greener on the Other Side?" This book may prove that to be true. 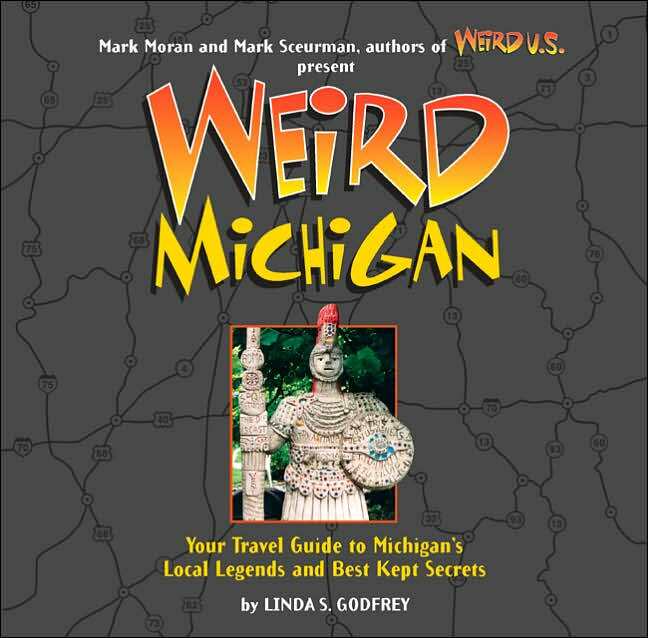 All states have their own regional qualities and assortment of quirky artifacts and legends, but Michigan seems to abound in these things. The book is organized into categories such as Local legends, Mysteries, Fabled Places, Phenomena, Beasts, Oddities and even a section entitled "Haunted Michigan." The book reads well, too. The author has carefully written down the legends and stories in a most readable manner, guaranteed to preserve these local oddities for generations to come, at least on paper and in photos. Just as in "Our Vanishing Americana" you get the feeling that these things will not be with us for that much longer. If I had to pick my favorite piece from the book it would be "The Glass Tower." 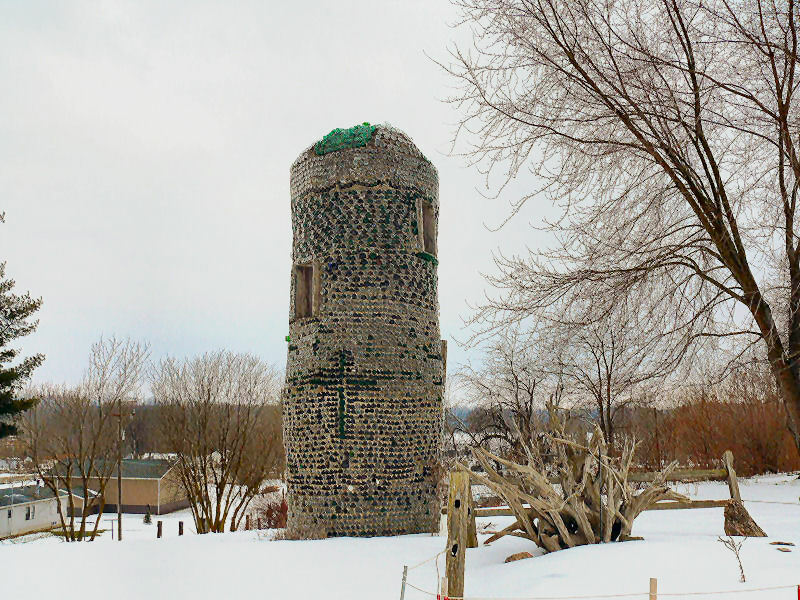 It was built by Michael Evans in the town of Matherton, 25 miles northeast of Lansing. Rather than attempt to tell you about it myself, I will use the words of Mr. Evans cousin to describe it. He also has a webpage about it with a few more photos, including one of the Tower as it used to look at night when lit. "If any of you have seen the book "Weird Michigan", then you've read the story about this tower. My cousin built it in the 70s. He died in 1987. He had been in a Automobile accident and was in a wheelchair when he built it. According to the book the tower is 20 foot tall and shaped like a bottle. It was built between 1973 and 1983. People gave him bottles and he and the kids picked up bottles along side of the roads. (For a time Michigan had a no return policy for bottles, so many of them littered the highways). It has about 10,000 bottles in it. He had a lot of help from the local teenagers, and about everybody in this town (population about 250) were related to him in some way so he had a lot of relative help too." This is a fun, quirky book about the funny and quirky people that we all are deep inside. It's just that some people have a way of putting their ideas into action, creating all the unusual things that there are to see around us. And it seems there is an over abundance of these things in Michigan. I just might have to take a drive up North this summer and see them.